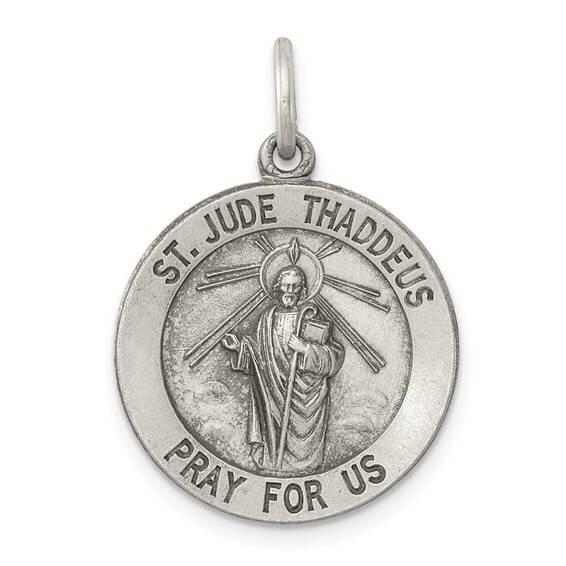 This round St. Jude Thaddeus medal is made of sterling silver. Item size: 11/16in x 11/16in. This item is slightly smaller than a dime. Chain not included. St Jude is the patron saint of hospitals and lost causes.